Posted on April 22, 2010 . No comment. 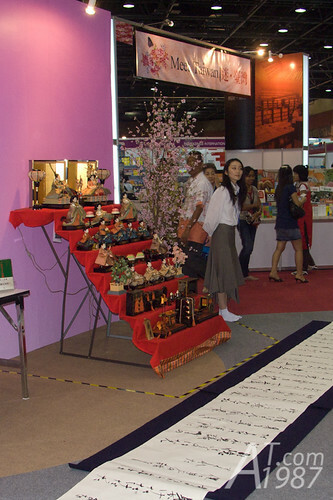 I went to Bangkok International Book Fair 2010 last month. This year Japan participated this event. Not only books. 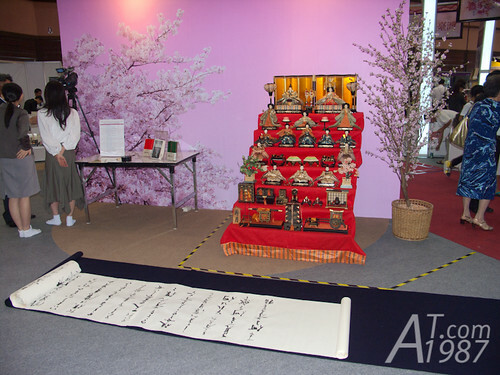 They also brought the set of Hina Nikyou for showing. It’s very hard to see Hina Ninkyou in Thailand. So I’m very exciting when I saw it. For people who don’t know Hina Ninkyou. 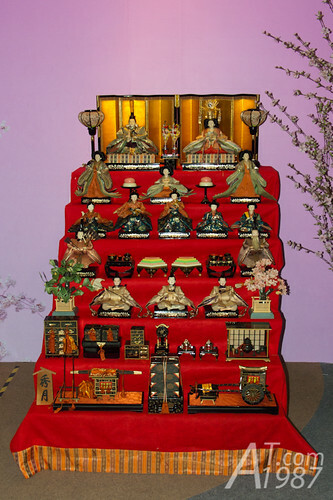 It’s the set of dolls that Japanese people show them in their houses for celebrate Hina Matsuri or Girls’ day. It’s on March 3 every years. In the past they didn’t show sets of dolls. 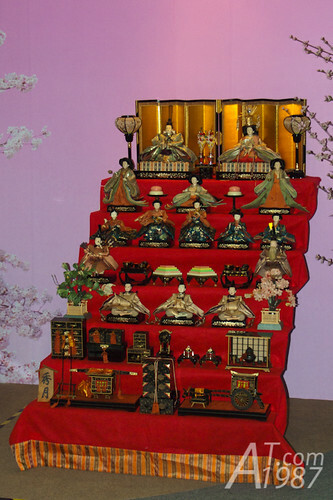 They left them in the rivers because they believe that dolls will bring bad spirits along with them. There is also Children Day or Boys’ Day on May 5 which they will celebrate it by decorate carp flags in front of their houses. For more info I think you can search it on Google or Wikipedia. 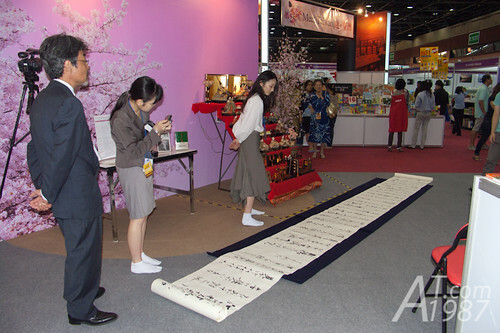 Who know what is written on this scroll paper. See you next on next post.